I have had the perfect day today, first I wrote my blog for yesterday as for the first time since starting it I didn’t write it last thing at night. I like writing at night as everything I have experienced during the day is still fresh in my mind. Once the blog was uploaded our whole family went out for a walk with our dog. We are very fortunate to have Trentham Gardens about a mile away which is a shopping village and garden centre set amongst beautiful Italian gardens that were restored a few years ago. It was a lovely and sunny here today and it felt like we really were on holiday! Later in the afternoon I took my mum, my mother-in-law and my eldest daughter Sofia shopping, we had a browse round the shops, stopped for a Starbucks and had a good chat and then came home and joined the men for dinner. This is one of the things I miss the most about England, getting together with family over a meal. As it was a beautiful evening we sat out in the garden later for a good while chatting with my mum and dad. I think it is really important to stop and acknowledge the good things in your life. Its quite often the simple things that make you really happy. 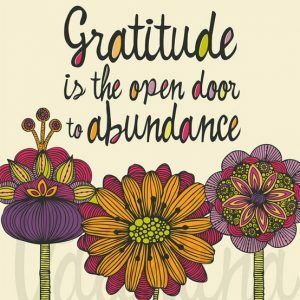 I have had a gratitude routine for a number of years. When I first started out it took a while for gratitude to become a habit, so I used to carry a small pebble in my pocket to remind myself to be grateful for things throughout the day. I still carry it sometimes. I also have a gratitude book by my bed in which I write out what I am grateful for. Now I have learned to just be naturally grateful for everything in my life. I am even grateful for being shy! I believe that shy people have a lot to give and should embrace it instead of trying to overcome it. Try going about your day purposely looking for things to be grateful for. It will make you feel really good, and when you feel good you will attract more good things towards you. Something else I am really grateful for this week is the fact that I have received two bouquets of flowers, one from my husband when we arrived back in the UK and one from some good friends who attended our tapas evening last night. 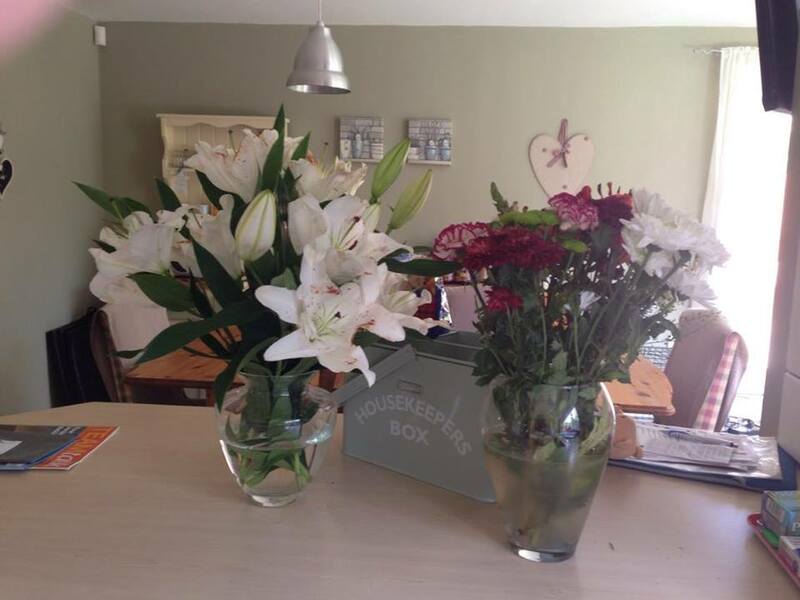 I love flowers and especially lilies, they smell so amazing. They give the whole house a wonderful scent. Something so simple like having a vase of flowers in the house can make you feel much happier. To end today’s post I want to talk a little about dreams and ambitions. I lot of people I come across have a challenge with knowing what they want for themselves and some people find it hard to dream big because they have no idea of how the dream will materialise. You don’t have to know – you simply have to come up with the dream. Something I find helpful is to visualise your dream day in the future. Imagine it’s 1 year down the line or maybe even 5 years down the line. What will your dream day look like? What will you be doing? Where will you be going? Who will you be with? What will you be wearing? What we think we desire sometimes maybe isn’t what we really want. What we really want is to be able to live our dream day every day. I hope you enjoyed this post, see you tomorrow. This entry was posted in Blog, Uncategorized and tagged dreams, Goals, gratitude. Bookmark the permalink.